Appointment bookings can be made by calling us on 0800 729 492. 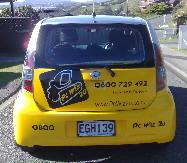 If you’d prefer to book an appointment via email (info@pcwiz2u.co.nz) you’re very welcome to do that - please do include your full name, street address and a contact phone number so we can set that up for you. (Note: our email address is checked at regular intervals, but it is not manned 24/7).